So in an effort to diversify my reading (aka read something other than romance for once) I joined the Goodreads group Our Shared Shelf, a feminist book club run by Emma Watson. With the recent political climate in the US, I wanted a way to expand my mind and find other readers to relate to. I highly recommend this group, and while I am more of a lurker than a discusser, it’s a lot of fun and great to be surrounded by intelligent, like-minded people. Persepolis is a book this group read about a year ago, but when I saw it amongst the material the group read I knew immediately I wanted to read it. When I was in college my World Literature class watched the movie (I know, the movie and not the book? *sigh*) and I have been meaning to read it ever since. On top of that I live in Los Angeles, a heavily Persian community and many of my real life friends are from Iran, so I was interested in learning more about the history of the country. 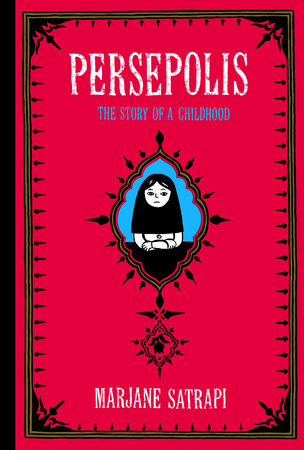 This book is an autobiographical memoir by Marjane Satrapi, mostly of her childhood living in Iran in turbulent times. It takes place mostly during the late seventies and early eighties, and depicts what life was like for her in a changing country. Marjane and her parents are rebels against the new regime, seeing that what the government is telling them isn’t always true. This book shows how Marjane adjusts to a new restrictive lifestyle as well as a history of the country told by her. It was very personal, you feel what Marjane feels. I fell in love with her as a character, you cannot help it while reading this book. I highly recommend this to anyone who is willing to read something outside the box, and anyone eager to gain perspective on events in other countries that you may have not known before. So I recently watched the Netflix show, and loved it so much so I watched it twice in a row. 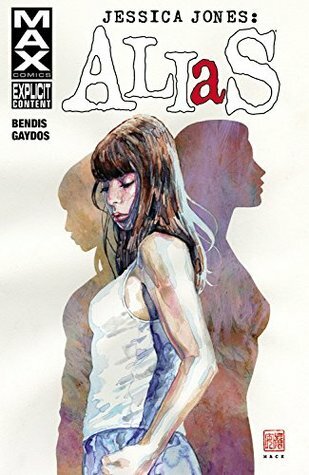 I had never heard of Jessica Jones before viewing, and I wanted to know more. My local library had this series available and I took a chance and I fell in love with it! 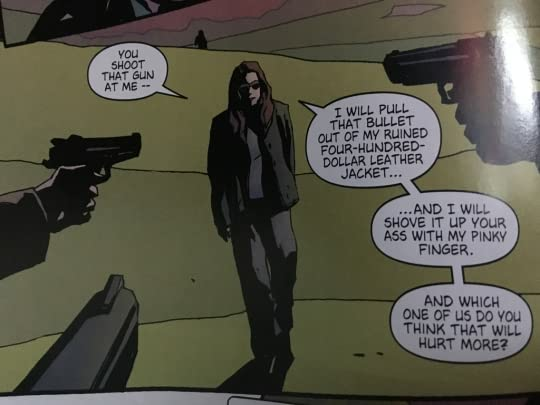 Alias is about Jessica, a former superhero named Jewel, who is now a private investigator. On her most recent case she is set up by her client to accidentally discover the secret identity of another superhero, and it puts her life in danger (and that’s all I’ll say). Normally when I read graphic novels, I am a naughty reader and I skim. Yes it’s awful I know, but I didn’t skim once when reading this book. I was enthralled from beginning until end. I love the grittiness of Jessica’s world and the mix of superhero and normalness. I will say the show spoiled me on romance with Jessica and Luke Cage because there was none of that in this. We only got a glimpse of Luke and I didn’t like what I met. Onto the next book! I’ve been trying to broaden my reading horizons lately and have always been interested in graphic novels and superheroes. I didn’t know where to start, so I asked the lovely Kat Stark for some recs and this was one of them. 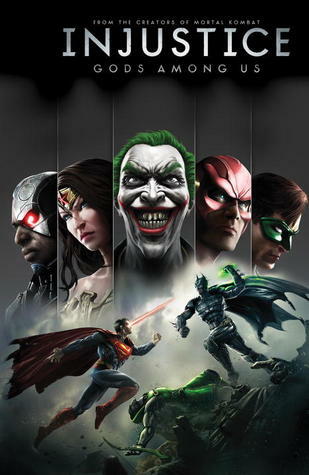 Injustice is one of the most interesting plots I’ve read this year! Basically one of the members of the Justice League (to remain unnamed) experiences a personal tragedy, and over time begins to evolve into the villain he always sought to destroy. I picked this book up and literally could not put it down until the end. There were quite a few superhero references that went over my head, because I could not recognize the characters by sight. But I was able to deduce most of the relationships and such fairly easily. One of my favorite aspects of this book was the relationship between Harley Quinn and Green Arrow, with banter between them causing me to literally smile every single time I saw them on the page. The pony and mustache jokes were also very much appreciated. I also enjoyed learning more about The Flash and Wonder Woman, two superheroes I’ve never given much attention to before. I was a bit confused on some aspects, whether or not they were always a plot, or just specific to this timeline. I was scratching my head at some parts from my own verse ignorance, and this is why I didn’t give it a perfect 5 star rating. For example, has Wonder Woman always had the hots for Superman? And Batman has children? And who was the ocean guy? B/c at first I thought he was Aquaman, but I couldn’t really tell…. 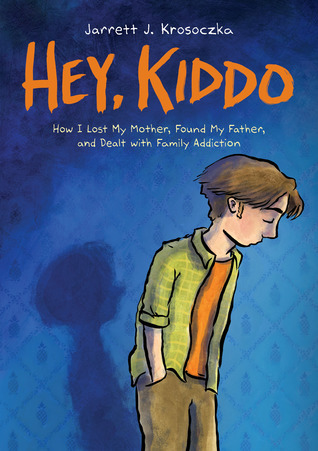 Overall I thought this was an amazing story and am eager to see where the story leads. Unfortunately my local library doesn’t have a copy, so it may be a while before I read the next one.